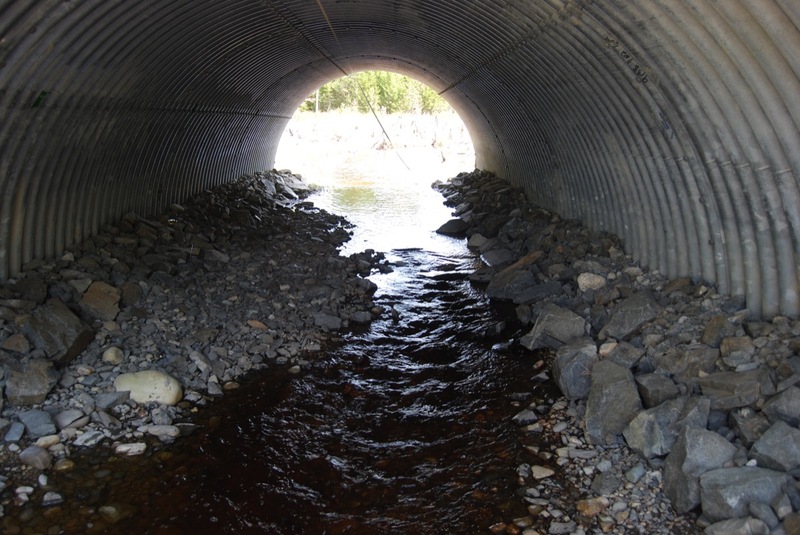 Removal of the Sunday River log/crib dam was a collaboration of The Androscoggin Valley Soil & Water Conservation District, Maine Inland Fish and Wildlife, USFWS Gulf of Maine Program, Eastern Brook Trout Joint Venture. The dam was located in a gorge making it difficult and cost prohibitive to access with construction equipment. Not a problem. We employed hand labor and two “grip hoists”. A day and ½ later the dam was gone.